A rich dark roast coffee with caffeine included. Great for an early morning kick!. WARNING: This product contains caffeine and nicotine. Caffeine and nicotine are known stimulants. Caution must be used when taking this product. If you are pregnant, think you may be pregnant, breastfeeding, have high blood pressure or any heart condition do not use this product. The long term effects and dosage levels of vaporizing caffeine have not been determined by the FDA. Do not take more than 15 puffs in a 15 minute time period. Wait 30 minutes between sessions. You must be 18 years of age or older to use this product. Use at your own risk! 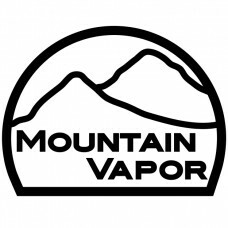 Mountain Vapor, LLC and its affiliates are not responsible for any negative effects using this product may cause. By using this product you acknowledge that you understand this warning. Use responsibly.